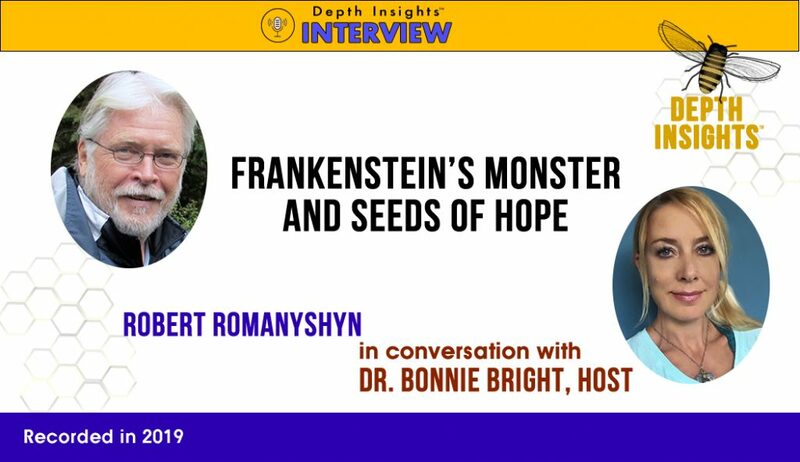 In this hour-long interview, Robert Romanyshyn and Bonnie Bright discuss Frankenstein, the Monster, and the plight of our planet. 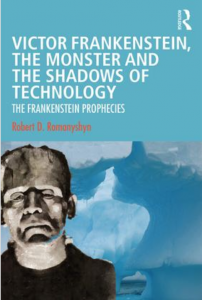 Focused on Romanyshyn’s new book, Victor Frankenstein, the Monster, and the Shadows of Technology: The Frankenstein Prophecies (May 2019), the pair engage in depth psychological perspectives on culture, crisis, poetry, imagination, embodiment, community, and dreams, among other important topics. Visit Robert’s web site at www.RobertRomanyshyn.com. Find more interviews with Bonnie Bright, Ph.D. at www.DepthInsights.com.